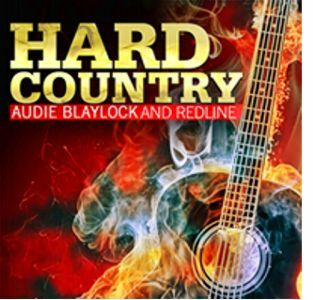 Nashville, TN -- Rural Rhythm Records is proud to announce the June 19, 2012 album release, Hard Country, by bluegrass music artists Audie Blaylock & Redline. Produced by Audie Blaylock, Hard Country is mixed with the cheating and heartbreak songs and that fiery hard-driving instrumental work that Audie Blaylock & Redline have become known for while performing their high energy live shows. Musicians on the album include: Audie Blaylock, Jesse Brock, Patrick McAvinue, Russ Carson, and Jason Moore. There are numerous highlighted tracks on the album including the first single release, “A Natural Thing” (view video below) that is now appearing on the June Bluegrass Music Profiles Magazine Top 30 Hot Singles Chart and on the Into the Blue's Top Pick of the Month on the Bluegrass Radio Network. The song was written by Harley Allen who also penned “Home Is Where The Heart Is”. Hard Country also includes two songs written by Audie Blaylock titled, “The Chair” and “A Grandmother’s Love”, plus another stand out track, “Real Good Way to Lose” written by Josh Shilling and Jon Weisberger. Audie Blaylock & Redline recently taped an upcoming Lost Echoes Production TV special Bluegrass Comes to the Valley that also included performances by Marty Raybon, Carrie Hassler, Rodney Dillard & The Dillard Band, and the Darrell Webb Band. This exciting new show will debut on Reno’s Old Time Music Festival” on RFD-TV hosted by Ronnie Reno airing later this year on BlueHighways TV. The event was supported by the Mt. Vernon-RockCastle County Tourist Commission and the City of Mt. Vernon. Audie Blaylock can also be seen on another upcoming TV special - “Christmas: The Mountain Way” - a live performance musical show showcasing Christmas and its traditions in the Appalachian Mountains. The program, which is being filmed for broadcast on national cable network BlueHighways TV, will be shot at the historic Bell Theater in Pineville, KY on June 19, 2012 before a live audience.